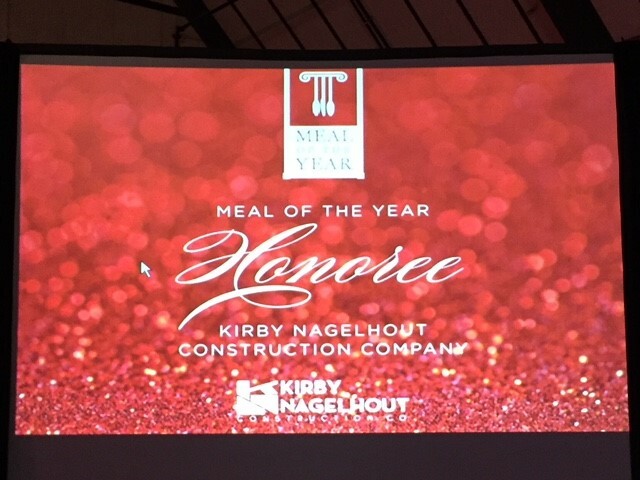 Kirby Nagelhout Construction Company (KNCC) was the Honoree at the annual Meal of the Year Celebration at the Central Oregon Community College Campus in Bend on Saturday evening. This was the 40th anniversary for the Meal of the Year and the first time in the history of the fundraiser that a company was the honoree. 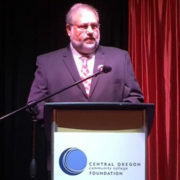 In years past, individuals or couples in the Central Oregon area had been honored for their annual support of the scholarship fundraiser. The funds raised at the event help hundreds of students with academic tuition expense each year. KNCC has been an annual sponsor of the event since 1995 and proudly supports the College and its students. 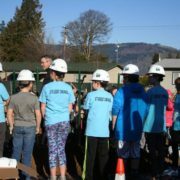 “One of our most important aspects of business is centered on giving back to our communities. We focus largely on children’s health and safety as well as educational causes such as the COCC Foundation,” according to Company President Jeff Deswert who accepted the award and spoke to those in attendance about the pride of the KNCC family of employees giving back to the community.